THIS BOOK WAS SO CUTE. THIS WAS EVERYTHING I WANTED IN A SEQUEL AND MORE. I WANT A THIRD BOOK. HECK, I COULD READ THESE BOOKS FOREVER. I DON'T KNOW HOW JENNY HAN DOES IT. I loved this book to pieces, and I was not disappointed at all with this book. Sure, there were some frustrating moments, but I still adored this book. This is probably my favorite YA contemporary romance series. I am so glad that I finally got around to reading these books. 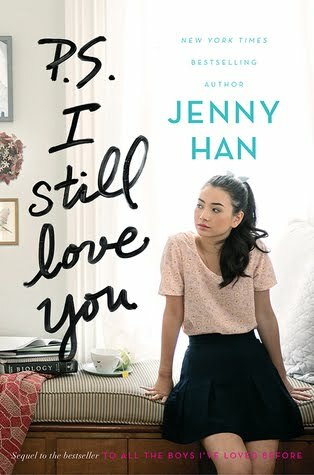 THANK YOU JENNY HAN FOR BLESSING ME WITH THIS AMAZING BOOK AND EVEN MORE AMAZING SERIES. I WANT TO SHOWER YOU WITH LOVE AND COOKIES.